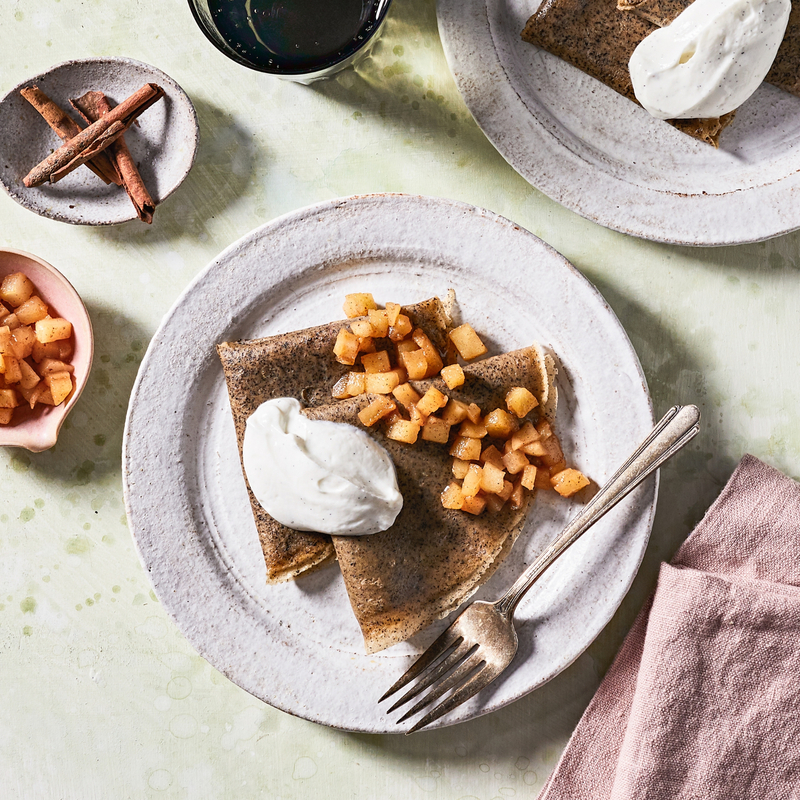 These delicate crepes are made with buckwheat, a pseudocereal rich in minerals and antioxidants, and are filled with cinnamon-scented apples sweetened with a touch of raw, local honey. The whipped, vanilla bean Greek yogurt has no added sugar and results in a breakfast that could almost pass as dessert! Ingredients: Apples, Milk, Greek Yogurt (Nonfat Yogurt (Cultured Pasteurized Nonfat Milk), Egg, Buckwheat Flour, Grass-fed Butter, Wheat Flour, Water, Raw Local Honey, Vanilla Extract, Brown Sugar, Granulated Sugar, Kosher Salt, Organic Cinnamon, Organic Nutmeg, Vanilla Bean Powder. Contains: Eggs, Milk, Wheat.